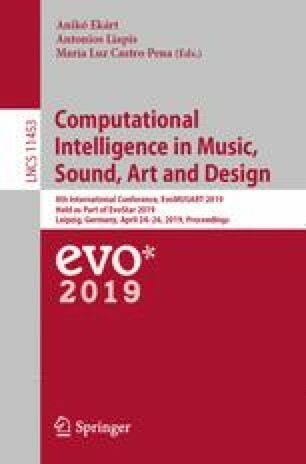 This paper expands on prior research into the generation of audio through the evolution of Continuous Time Recurrent Neural Networks (CTRNNs). CTRNNs are a type of recurrent neural network that can be used to model dynamical systems and can exhibit many different characteristics that can be used for music creation such as the generation of non-linear audio signals which unfold with a level of generative agency or unpredictability. Furthermore, their compact structure makes them ideal for use as an evolvable genotype for musical search as a finite set of CTRNN parameters can be manipulated to discover a vast audio search space. In prior research, we have successfully evolved CTRNNs to generate timbral and melodic content that can be used for electronic music composition. However, although the initial adopted CTRNN algorithm produced oscillations similar to some conventional synthesis algorithms and timbres reminiscent of acoustic instruments, it was hard to find configurations that produced the timbral and temporal richness we expected. Within this paper, we look into modifying the currently used tanh transfer function by modulating it with a sine function to further enhance the idiosyncratic characteristics of CTRNNs. We explore to what degree they can aid musicians in the search for unique sounds and performative dynamics in which some creative control is given to a CTRNN agent. We aim to measure the difference between the two transfer functions by discovering two populations of CTRNNs using a novelty search evolutionary algorithm, each utilising a different transfer function. The effect that each transfer function has on the respective novelty of each CTRNN population is compared using quantitative analysis as well as through a compositional study.